The journey toward healthy, straight teeth doesn’t end the moment you take off your braces. It’s important to maintain that perfect smile after years of effort. It’s essential to wear retainers, have regular check-ups and focus on daily tooth brushing to ensure the time and money you’ve spent on braces isn’t wasted. Committing to a new routine of wearing retainers regularly right after your braces removal is the single most effective way to keep your results. Even though braces may have successfully straightened your teeth, they are not completely settled in their new position until the bones, gums and muscles adapt to the change. That’s why retainers, which are typically made of rubber or clear plastic and metal wires that cover the outside surface of the teeth, should be worn all the time for the first six months after the braces come off. 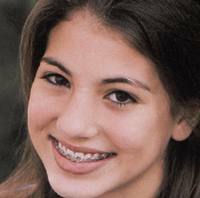 It’s certainly understandable to feel excited and not want to wear anything else over your teeth after braces. But remember, the result you’re seeing is not permanent without continuous care. The good news is that after the initial period of wearing your retainers full-time, you’ll be able to transition to just wearing them at night. Be sure to clean your retainers daily with care to keep them in great shape. If you detect any orthodontic issues, call your orthodontist immediately to schedule a check-up. Shifting teeth is a major sign of problems post-braces. If orthodontists are notified quickly enough, they may be able to make adjustments to the retainer to prevent further shifting. A clear aligner could also be an option for correcting minor shifting. If shifting is left untreated, it may result in more serious problems that could cost you more money and time. Dental care at home is as important as your appointments with the orthodontist. After all, if you end up with damaged or decayed teeth, it won’t matter how straight they are. If you don’t brush your teeth properly, a layer of bacteria known as plaque will form on your teeth, which can lead to gum disease and tooth decay. Ideally, you should brush your tenth for about two to three minutes every morning and before you go to bed. However, many people don’t realize that doing so right after you consume a meal is not a good idea. This is because the acidic content of many foods can soften your tooth enamel. If you brush teeth immediately after meal you could also brush away the enamel. Wait for about an hour after you eat to give your saliva enough time to neutralize the acid in your mouth.